It's a Pineapple Express day today. The current atmospheric river which is dumping rain on us today and prompting the National Weather Service to issue flash flood warnings took dead aim at California from directly over the Hawaiian islands. 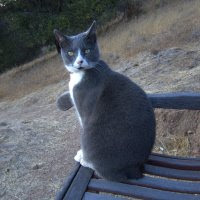 A Big Sur blogger that I follow has posted some photos of the damage wreaked in my area by the previous storm so if you are curious to see what 86 MPH winds can do to trees weakened by drought then check out Big Sur Kates post. Fortunately the storm coming through today is much less windy. I've had a few chances to do some harvests between storms. 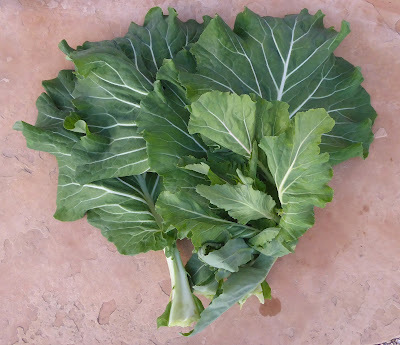 I cut the leaves and flowering top from the second Tronchuda Beira Cabbage plant. I dehydrated most of what I harvested from the bolting plants but saved enough to make some Okonomiyaki pancakes. The recipe calls for regular cabbage but the Tronchuda Beira has a sweet cabbage flavor that I think should work well in the pancakes. 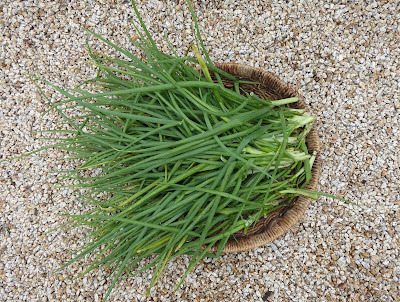 The Okonomiyaki recipe also calls for a bunch of scallions which I don't have in the garden right now, but the I'itoi onions need to be trimmed because they are getting matted down by the wind and rain so I cut a few bunches of them. Most of those also got sliced and dehydrated. The house is quite fragrant right now even though I had the dehydrator in a room with an exhaust fan running. Some of the chard also needed a trim. The last of the Aji Amarillo Grande peppers finished ripening so I got another round of those making an odd couple companion in the harvest basket with another big bunch of Gustus Brussels Sprouts. The sprouts tally from the current plants has hit 26.5 pounds so far! And the Aji Amarillo Grande plant provided a total of 3.8 pounds of peppers. Another 1 1/2 pounds of that haul of sprouts got shredded and dehydrated. My dehydrator has gotten quite a workout lately! And I need to get those peppers into the dehydrator next so that I can make some pepper flakes. I pulled a few more parsnips and more carrots (which didn't get photographed). I shredded a couple of the parsnips to include in a saute with some shredded carrots and Brussels sprouts. 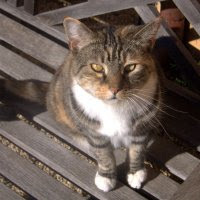 Well, I really can't get ANYTHING done in the garden right now, it's been raining and raining and raining. The wind blasted early Friday morning bringing down trees all over the place. Power was out for about 14 hours and the internet over 24 hours. Everything is soaking wet and looking whipped. The gopher tunnels have turned into underground streams. Pretty much every drop of rain hits the ground and starts running these days. Don't know if the video below will work, but it's the exit point for what used to be a gopher run but is now a spring. I'm pretty confidant that there's no gophers in residence at the moment. So if I can't actually work in the garden then I'll write about it. I am overdue for a garden update tour anyway, but on the other hand there hasn't been much going on out there lately. The rain let up long enough to allow me out in the garden with my camera and waders (just joking), but I did have to cut the photo session short to spare my camera from another shower. So here's the latest. First Bed #1. I'm later than usual to get a cover crop sown in the future tomato and pepper bed. The wet weather kept me out of the garden a lot in January so I didn't get the bed cleared out until mid month. The soil was too wet earlier in the month to dig so I covered the entire bed for a couple of weeks with a huge sheet of heavy duty greenhouse plastic. Then when I finally started to turn the soil in preparation for sowing the cover crop I found that oak roots had invaded much of the first third of the bed so I had to spend extra time digging around the perimeter of that end of the bed so that I could put down a more adequate root barrier. Finally, about 10 days ago I managed to turn the soil and raked in some cover crop seeds including Kodiak mustard, some really old olive leaf rapini seeds (better than simply throwing them in the compost), pea seeds that I had collected and not labelled so I didn't know what they were, and a mix of another type of pea and oats. I sifted a thin layer of compost over it all and then covered the entire bed with lightweight Agribon fabric to provide protection from both birds and pounding rain. I'll cut down and dig in the cover crop at the end April and then wait until the end of May to finish prepping the bed for planting out the tomatoes and peppers around June 1. Bed #2 is the former tomato and pepper bed. I removed the frost cloth from the top of the enclosure that I set up around the Aji Pepper plants for protection from freezing weather in December and January. I harvested the final round of peppers this past week and now that the danger of freezing weather is minimal I removed the frost cloth from the top and then the wind took care of the plastic sheeting that I had under that. The plants look scraggly but otherwise good considering they've spent the winter outside. The rest of that side of the bed is planted to Robin Hood fava beans. They've been pushed around quite a bit by the wind, but I think they're ok, I didn't see any snapped or crimped stems. They have been blooming for quite a while and have set some beans. The other side of the bed is planted to Extra Precoce A Grano Violetto and Aguadulce fava beans. They are just getting started and are nowhere near blooming. I've been cutting the Kodiak mustard greens that are flanking the Robin Hood favas and laying the greens on top of the soil along the row of other favas as a sort of green mulch. Some of it got covered with cardboard and some didn't. Over in Bed #3 things are still in transition. This bed is going to be where I'll be growing brassicas, greens, and salad greens, and eventually carrots, parsnips, radishes and such later in the year. I've got the first round of broccoli going in one corner. It's surrounded by a fence of 1/4-inch hardware cloth draped with fabric to keep the birds and bunnies out. 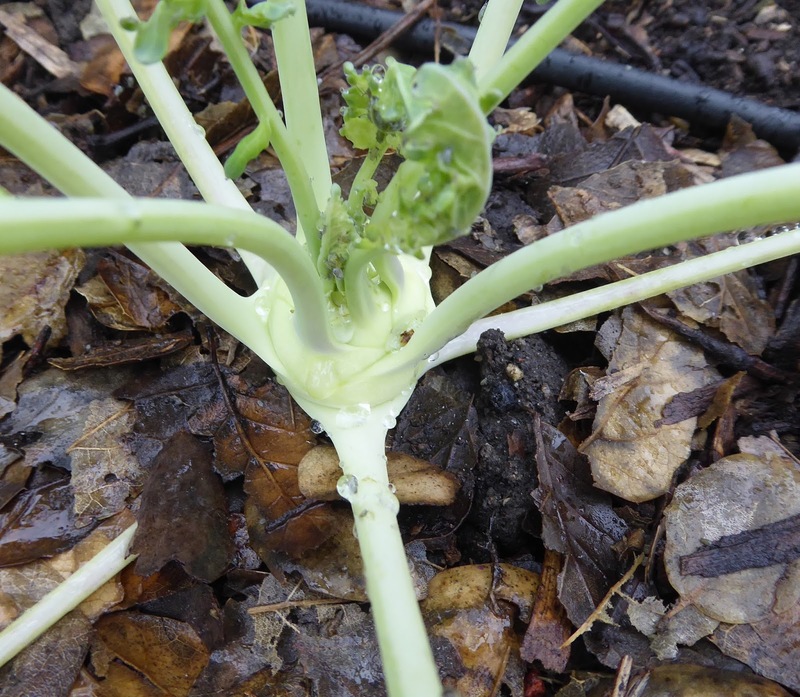 The first heads of broccoli are starting to form. Further down the bed I've been putting up the hardware cloth screens that I'm building to make cages rather than making tunnels of fabric draped over hoops. I've covered part of the cage with heavy duty plastic in an attempt to keep the soil dry enough to do some planting. The newly dug area is where I had corn growing last year and I'm trying to get the root balls of the corn to dry out a bit so I can run them through the chipper/shredder and return them to that spot as mulch. The rest of the cage is occupied by spinach that I set out back in November and some Golden Corn Salad that I allowed to volunteer around the spinach. The rest of that side of the bed is occupied with a couple of empty trellises where I had hoped to get some early peas started but I've given up on that idea, it's just too wet and windy. Most of the rest of the bed has got a bunch of onion seedlings growing. This section of the bed got covered with plastic for the first half of January to keep the soil dry enough so that I could plant out the onions. I planted most of them on January 17 and 18 and now I'm hoping for a bit of a dry spell so I can plant more seedlings that I started later. Fat chance, it seems like it's going to continue to rain until at least mid week and from what I've read March will be soggy also. The poor little I'itoi onions keep getting bashed down by the wind and rain but I think they're ok. The only late started allium that I managed to slip into the garden in a relatively dry spell was some Zebrune shallots. They look puny, but they are still very young. Bed #4 is where most of the action is now. It has a lot of holdovers from last year still and a few quick croppers that should be done by the time I plant the bed primarily with curcurbits this spring. I've allowed the Calabrese broccoli to bloom. I didn't really need the few shoots that it was providing and the good bugs and bees needed a little something. My 2 Dazzling Blue kale plants are still providing all the kale that we need. It certainly doesn't mind all the rain. The Brussels sprouts don't mind the rain either but the wind keeps ripping their leaves off. They look like palm trees now. And there's still plenty of sprouts growing. 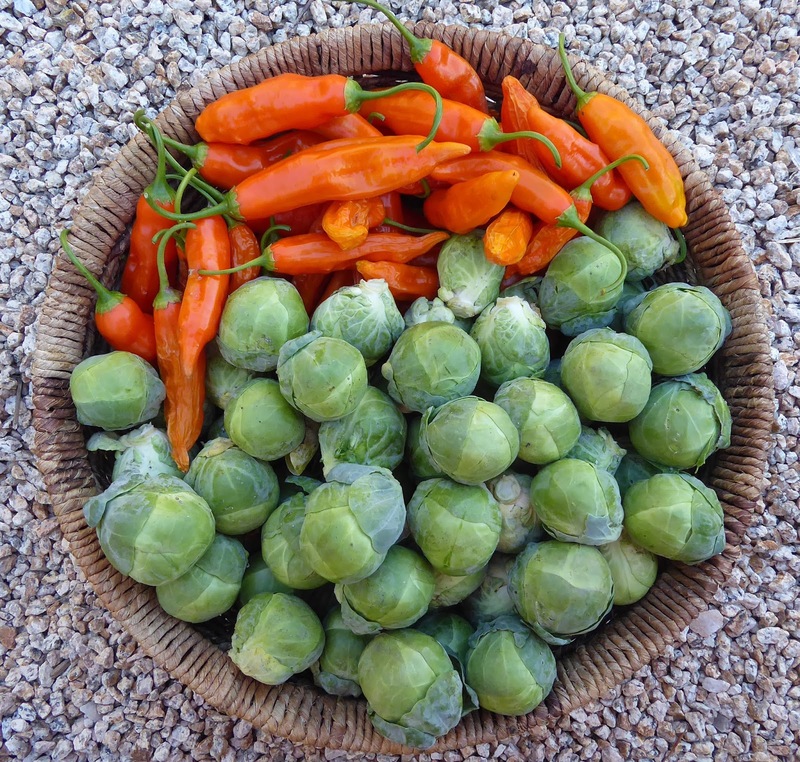 I can't believe that I've harvest 26.5 pounds of sprouts so far from these plants. I suppose all the greens are loving the rain, the chards included. The celery says "me too, me too!". It's growing like crazy and sweeter than ever. I've got a cage running the length of the other side of the bed. The first bolter amongst the overwintered greens is the Tronchuda Beira cabbage/kale. I cut all the large leaves off of the plants and cut the tops off. Next I'll harvest the side shoots as they try to bloom. 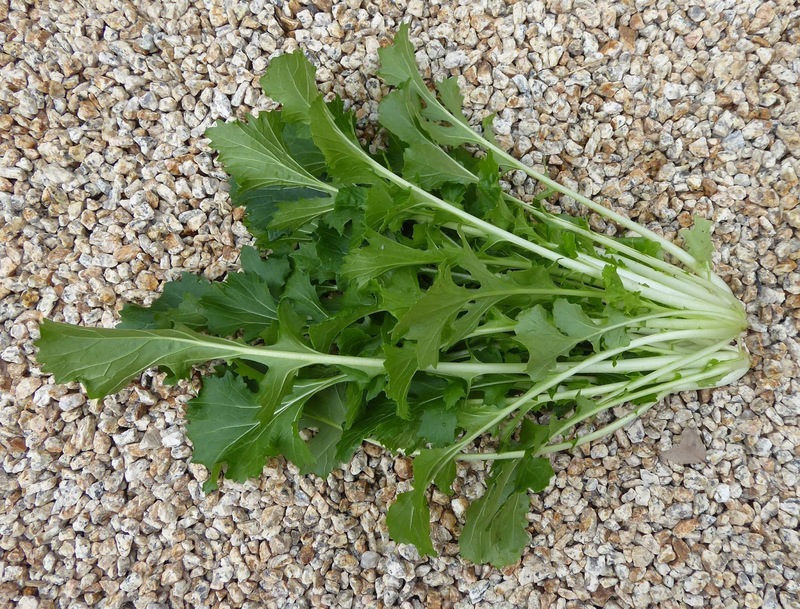 Keeping company with the Tronchuda Beira are seedlings of arugula, cress, mizuna, and some transplanted Bucks Horn plantain. 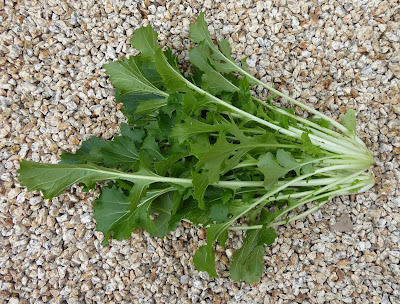 Quick cropping Mizunarubasoi (Mizuna x Maruba x Tatsoi) is already providing sweet greens. I tried to get some cilantro started inside some cloches which I just traded for sleeves. The experiment is only partly successful. Almost done now - carrots and parsnips. Newly sown and protected by fabric are more carrots and some radishes. That shot above gives an idea of my cage design. All the panels are the same size, although I do have to shorter panels for end panels where I want more narrow cage. They are intended to be easily removed and set back in place. The top screen has only two boards which makes them lighter and more flexible than the side panels. It's much easier to get into the cage than it was to get into a fabric covered tunnel. It's also easier to cover the cage with plastic sheeting to keep out the rain or fabric to provide shade. The panels, even though they are made from cheap kiln dried pine, will last a lot longer than the UV resistant fabric that I've been using the last couple of years and I think they block less light than the fabric. I'm happy with them so far. Late sown radicchio are growing, but will they form heads before they bolt? We'll see. I have more confidence in getting some kohlrabi. That's the latest from my garden, thanks for stopping by. 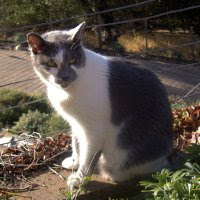 Just a quick post this Monday since Dave and I did a big overnight hike this weekend to see Pacheco Falls in Henry Coe State Park and I was too tired last night to write up my usual detailed post. There are 6 drops in the falls for a total of about 65+ feet. It was a great time to see the falls because we've had SO MUCH rain. Yay! My photo does it no justice especially since you can't hear the ROAR. There's just a few Purple Sun carrots left in the garden, I've been harvesting just a couple at a time. They've been quite sweet. I used one of them in the veggie wrap that Dave and I enjoyed for lunch on our first day out on our hike to the falls. 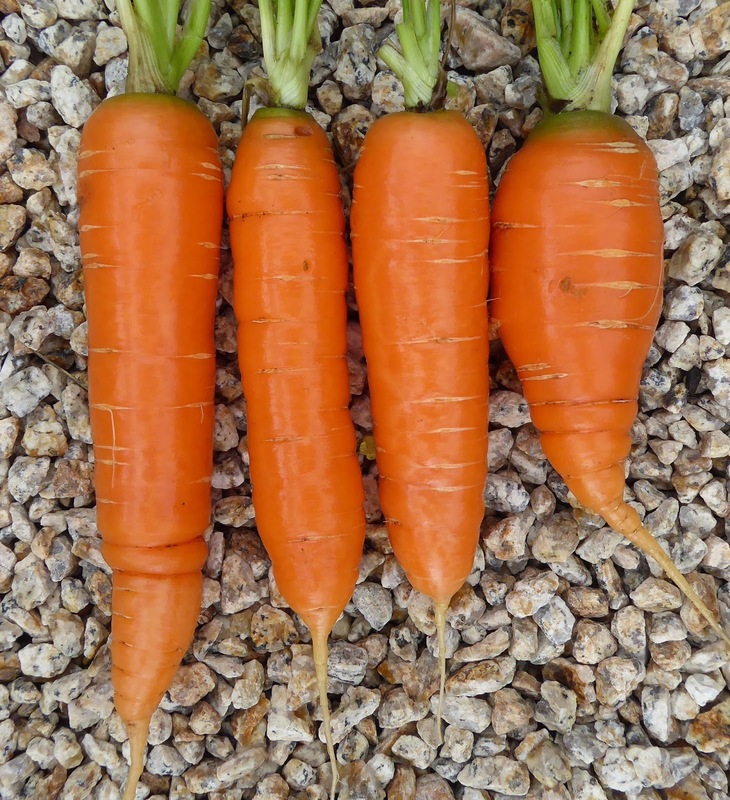 The Nelson carrots have been slow to size up so other than thinnings I haven't harvested very many yet. Those are the first sizable ones that I've pulled. When I planted the Mizunarubasoi I set out 6 individual plants since the plants can get to be quite large and can be harvested on a cut-and-come-again basis, but I set out the extra seedlings in a couple of clumps to be harvested in their entirety, that's the first clump to be cut. Half the bunch went into a salad and the other half went into our trail veggie wraps. The celery is still putting out lots of stalks. That's one main stalk from the center of one plant and a bunch of stalks from one side shoot that I cut off. Spring must be coming! The Tronchuda Beira cabbage has gotten the signal and is starting to bolt. I cut all the large leaves from the smaller of my two plants. This was actually my second harvest of the week, the first went into a pot of soup and the leaves pictured above were cut into thin ribbons and dehydrated for future soups. That was it for the harvests last week. 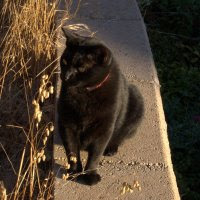 I'm linking with Dave at Our Happy Acres for Harvest Monday. 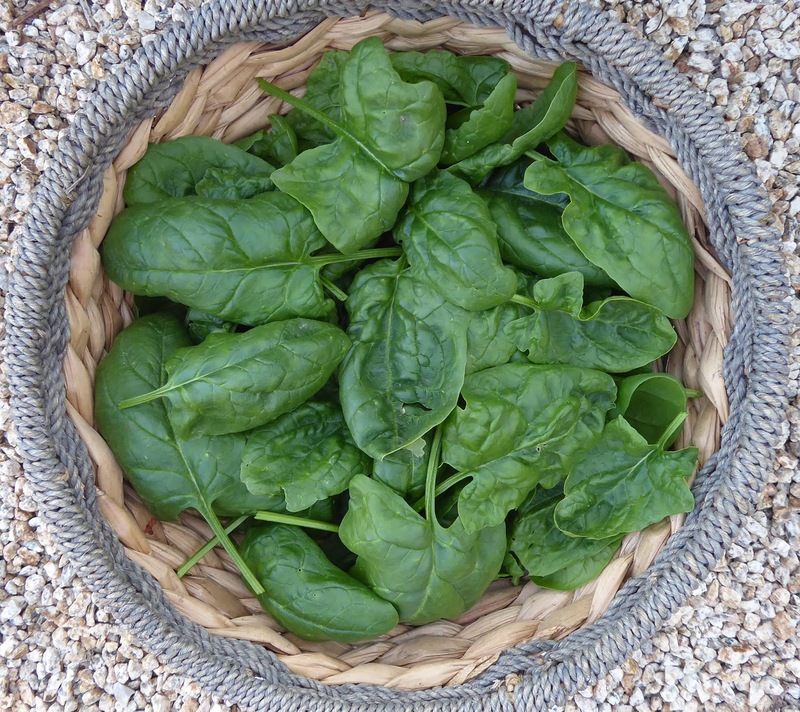 Stop by there to see what other garden bloggers have been harvesting lately. There was nothing new from the garden last week, not that I'm complaining, the garden is providing plenty of fresh veggies to eat. The Brussels sprouts continue to roll in. I fnally got caught up on the Hestia sprouts. There were a lot of big loose ones, but those are great for shredding so that's ok. There were also plenty of optimal sized sprouts which were nice and firm and perfect for roasting. So you may be wondering, what the heck have I been doing with all those sprouts? 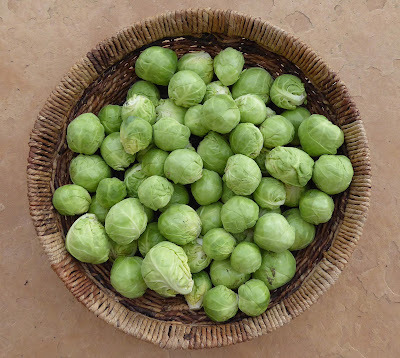 In case you missed it you can find out on my recent post listing Brussels Sprouts recipes HERE. One use that I didn't mention in that post was that I included a goodly amount of fresh shredded sprouts in a veggie packed frittata. I make frittatas frequently, big dense ones that I cut into wedges that Dave can pack in his lunch. The sprouts packed frittata was declared to be delicious. I also shredded up a couple of big sprouts and tossed them with some shredded carrot, olive oil, and vinegar and included that mix with other goodies in a veggie wrap that Dave and I enjoyed on a hike on Saturday. And on Sunday I made up a shredded sprouts salad that also had finely julienned apple, shredded Manchego cheese, I'itoi onions, and a dressing of grainy mustard, maple syrup, cider vinegar and rice bran vinegar. I'm finding that Brussels sprouts are quite a versatile veggie! Oh, one more thing, my adaptation of a Brussels Sprouts Kimchi recipe came out great, so I'll be writing up my version of the recipe one of these days. 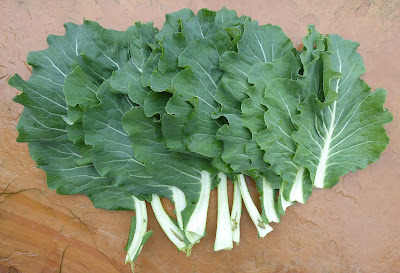 The Tronchuda Beira cabbage/kale is still producing really nice leaves. I used that bunch in a noodle dish in which I sliced the leaves into thin ribbons and then cooked them with some edamame spaghetti (spaghetti shaped noodles made from edamame beans) and tossed the noodle and greens mixture with a carbonara sauce. Unconventional but delicious! 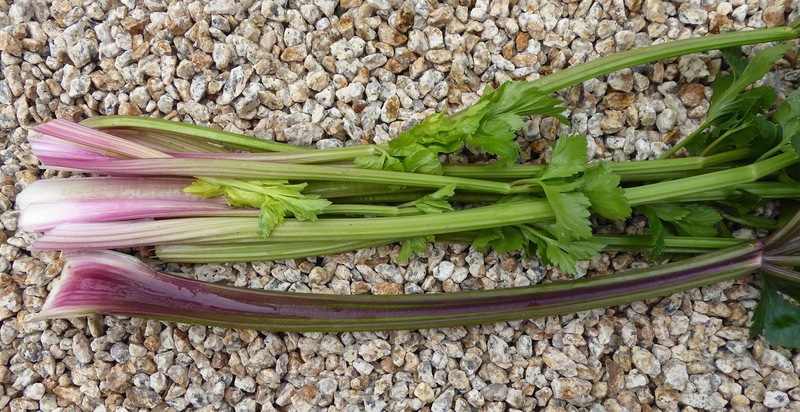 There's still plenty of celery available to harvest. That bunch went into a long slow braise of lamb shanks with prunes and bourbon. I also cooked up some Greek Gigante beans and sautéed some freshly harvested (but not photographed) golden chard to accompany the lamb. 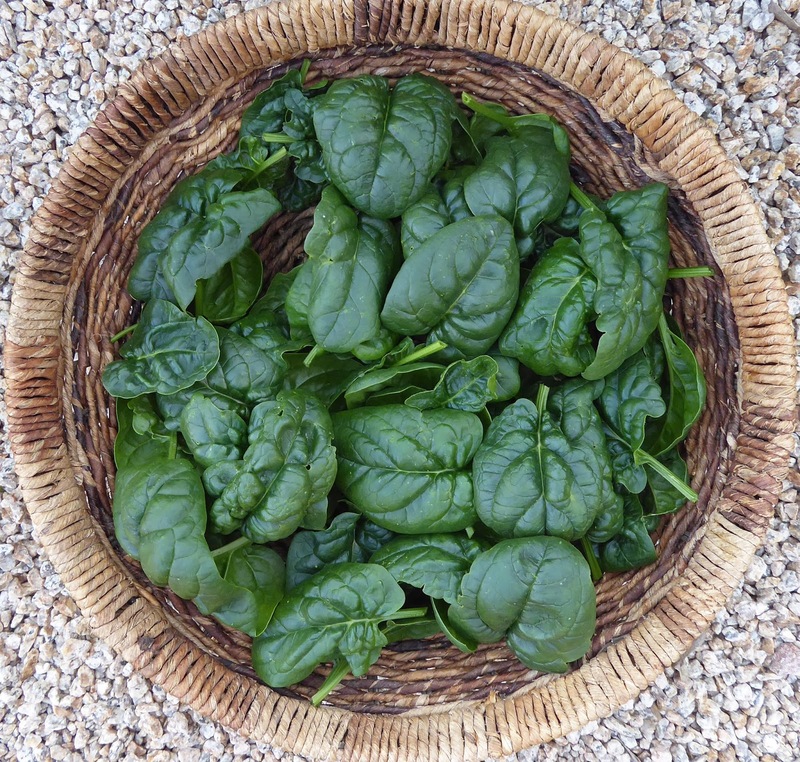 The spinach was large enough to harvest again. I combined both harvests in a stir-fry with tofu and I'itoi onion greens. 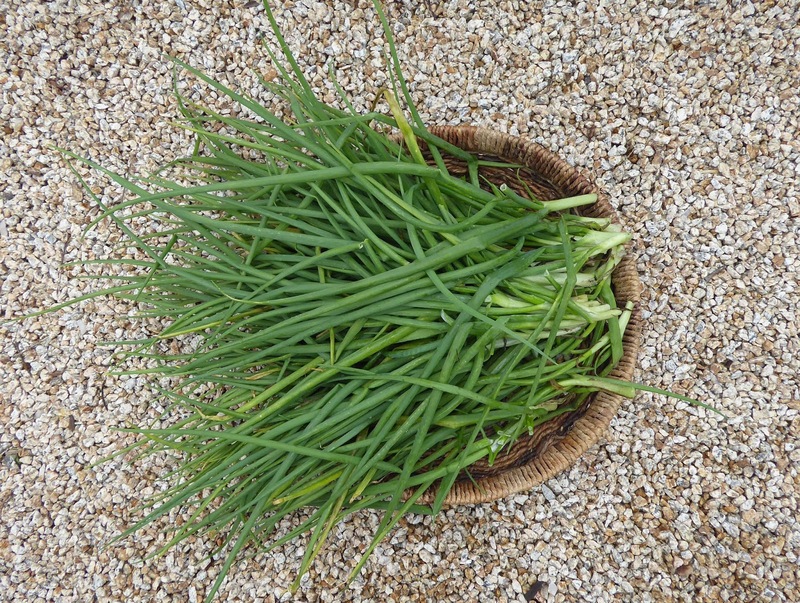 I'm still learning how best to grow I'itoi onions and figured out that I planted this year's lot too close together so I've started to trim back some of the bunches to reduce crowding. 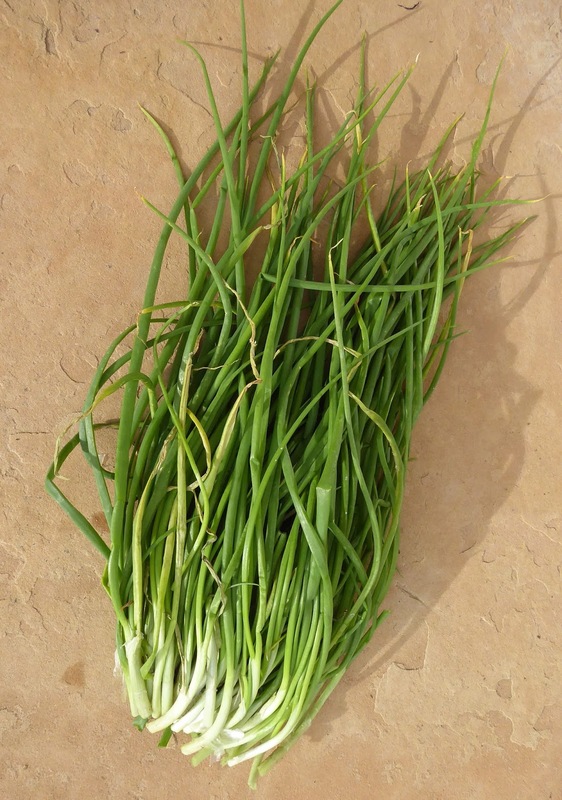 The green onions are a great substitute for both scallions and chives, neither of which I've got growing right now. I'll have to remember to plant some I'itoi onions next season just for harvesting green. 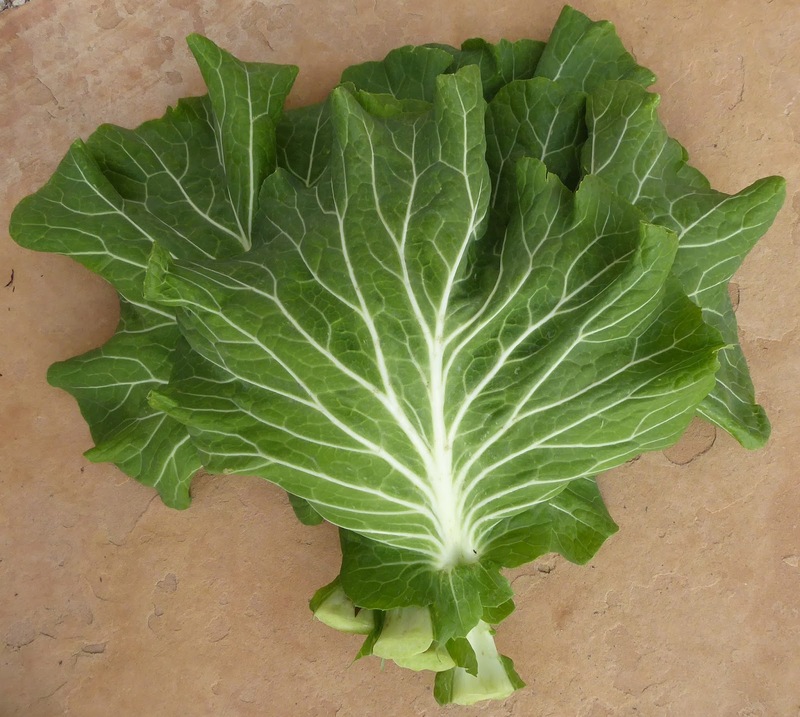 Tronchuda Beira cabbage - 13.1 oz. 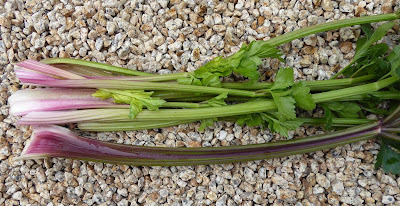 Pink Plume celery - 5.1 oz. 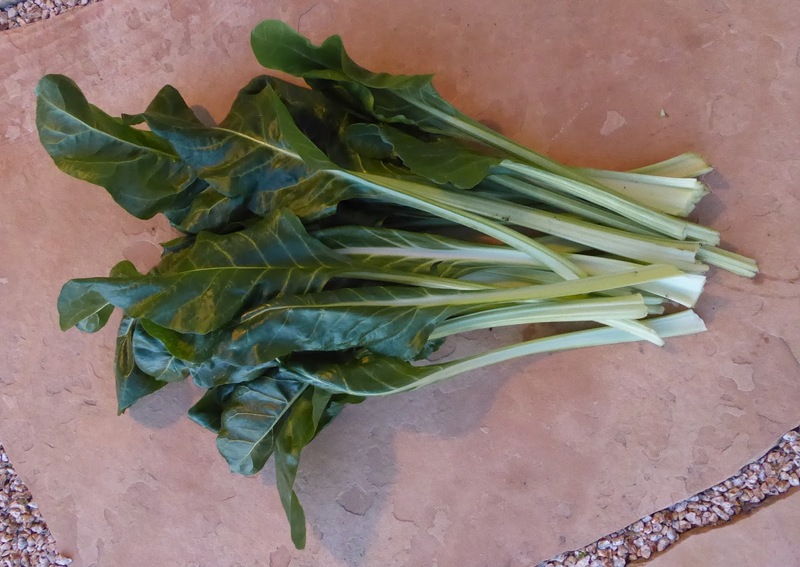 Golden chard - 15.8 oz. 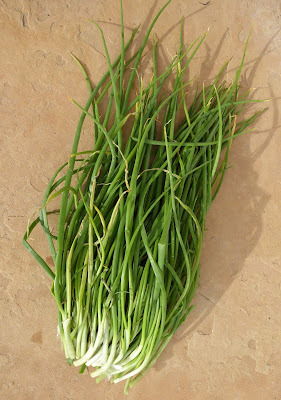 I'itoi green onions - 10.8 oz. 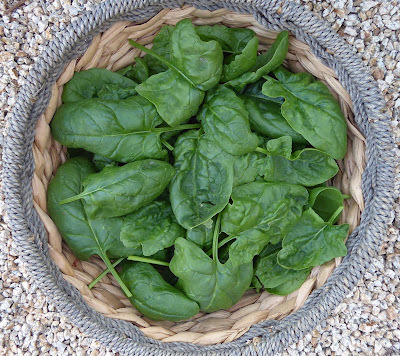 Gangbusters spinach - 4.4 oz. Merlo Nero spinach - 4.7 oz.